Welcome to Day #3 of Chocolate and Mexico Theme Week. 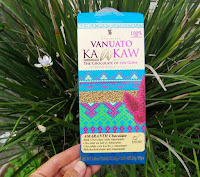 Today's Vanuato Kakaw Amaranth Chocolate "100% Milk Chocolate" (36% cacao) bar was made in Mexico and contained approximately 7% (hundreds of small pieces) of amaranth. "Known to the Aztec in Mexico as 'huauhtli,' amaranth cereal was important in the preparation of ritual drinks and various foods before the Spanish conquest. Today it maintains great importance as a symbol of the indigenous culture. Amaranth is gluten-free and has higher nutrient content than most cereals. It's a great source of an amino acid "lysine," found in limited quantities in other grains or plant sources. According to the UN Food and Agriculture Organization, amaranth packs more protein than any other plant on earth. Because of its multiple properties, NASA selected Amaranth as part of its astronauts' diets." 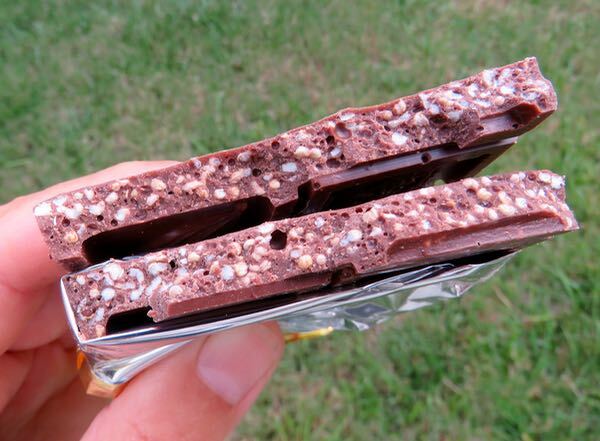 The milk chocolate bar was sweet and uniform in flavor. And the amaranth provided a very mild, soft crunchy texture.